Mr. Bryson Allen Mikell, age 7, beloved son of Shawn and Zina Mikell, tragically passed away on Saturday March 23rd, 2019. 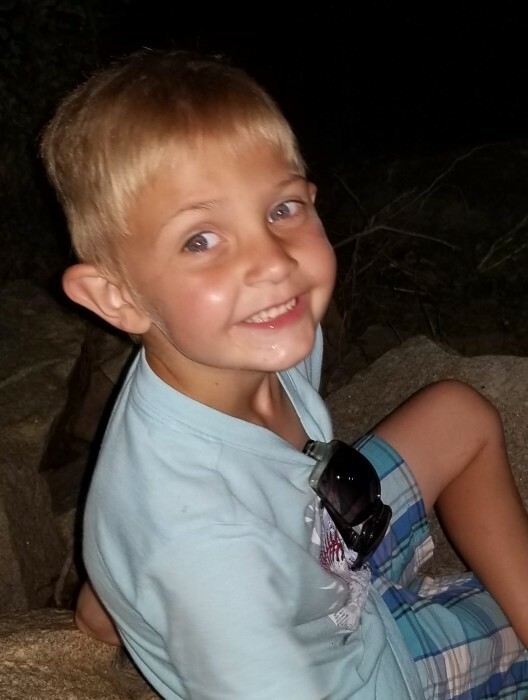 In addition to his parents, he is survived by his brothers, Triston Mikell and Jacob Graham; maternal grandparents, Jean and Clark Custer; paternal grandparents, Sherry and Gerald Johnson. Bryson was always smiling and had tons of love in his heart. He was awarded “Citizen of The Month” at Jefferson Elementary School three times and in 2017, was award “Citizen of The Year”. He will be missed by his family, friends and all who knew his sweet soul. A funeral service celebrating his life will be held in the chapel of Napier Funeral Home on Friday, March 29th, 2019 at 4pm with Bishop Phillip Napier officiating. The interment will immediately follow at Langley Cemetery. The family will receive friends one hour prior to the service at the funeral home. Pallbearers will be: Kohl Fulmer, Kirbie Fulmer, Kolby Boatwright and Brennon Mikell.